Back in its 4th year, the FSRU Asia Summit will bring together all industry players along the entire FSRU value chain to focus on maximising FSRU opportunities in emerging and mature gas markets. These industry leaders are also actively looking for solutions to keep their FSRU project feasible and practical. 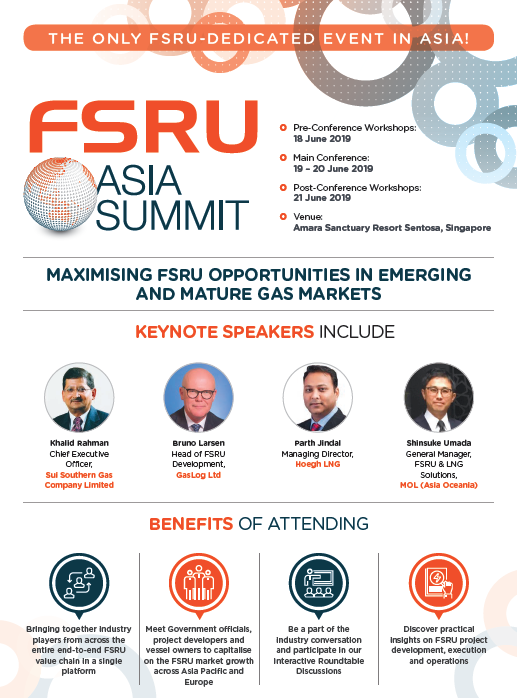 Why you must attend the FSRU Asia Summit 2019? Only dedicated event focusing on FSRU developments in Asia. Complete the form to below to download the brochure.